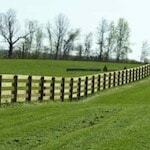 ProFence LLC is a fencing company that has been in business since 1993. 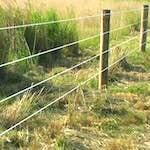 We supply and install many different types of fences including woven wire horse fences. 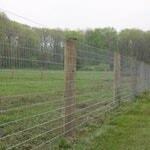 A woven wire fence is ideal for security. The tight grid of woven wires makes it impossible for small or large animals like horses to get in or out. 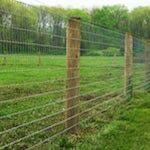 We are experts in determining which type of woven wire horse fencing will best suit your needs. Variations such as post spacing and the type of woven wire is taken into consideration for your specific situation. 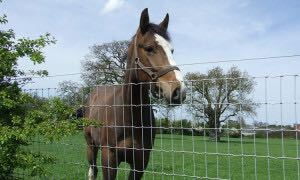 Fill out our free Fence Installation Quote form and we will put together a plan within your budget for your new woven wire horse fence. 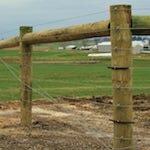 We have many years of experience in installing woven wire horse fences. We install fencing for both large and small properties. We have the experience to get the fence installation done on time and within budget. We have installed fencing in the early nineties that is still up today. 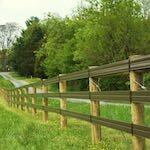 Contact us today to learn more about our woven wire horse fence installation services.